1. Press the Windows key + I to launch the Settings menu. 2. Click the ‘Devices’ option that should be in the middle of the first row. 3. Click on the ‘Mouse & Touchpad’ option found on the left side panel. 4. You will see a few option on the right side. 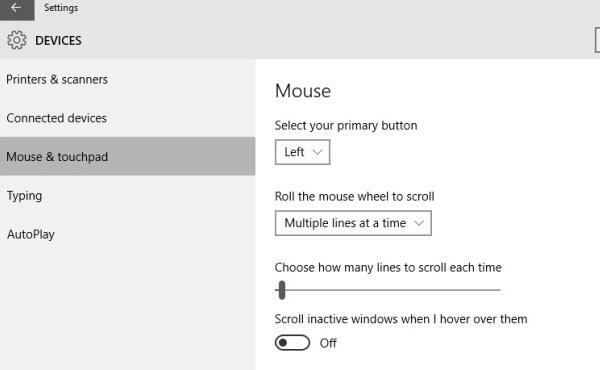 Look where it says “Scroll inactive windows when I hover them” and toggle the switch to the off position. The toggle icon is easy to see. Simply go back in to this same location and toggle the switch back on again if you decide you want to turn it on again.